All our villas have been handpicked and inspected by our ‘villa experts’. We like surprises, but only the good ones ! We have an experienced service team who know our villas inside out. We can help you not only at the time of booking but also while at the villa. We negotiate the lowest price direct with owners. Our prices are in AUD and includes all taxes. No hidden extras. Bali is a place of contrasts, from the relaxing, surf-filled beaches of Canggu and the hustle and bustle of Seminyak, to the peaceful rainforests of Ubud - there is something here for everybody. At Bali Villas, we believe that ‘villa life’ really is the best way to experience the island and our extensive accommodation choices and firsthand knowledge of it mean that we are able to help you find your dream villa. Spend your days becoming acquainted with Bali's rich culture, stepping over flower offerings and wandering through ancient temples, admiring the artistry of Balinese craftwork and experiencing the generosity and warmth of the local people, all whilst a faint chime of traditional Balinese music follows your every step and the scent of incense hangs heavy in the air. Then, at the end of it, retire to your own personal haven, take a dip in your private pool and unwind with a tropical cocktail (or two!). 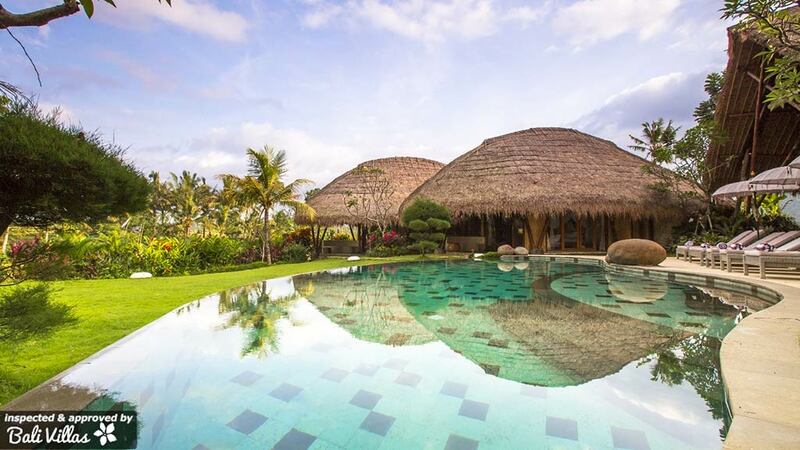 Whether you are seeking a relaxing, romantic getaway, an exciting family stay near Bali’s best attractions, a surf escape on the rugged east coast or anything in between, Bali Villas will have the villa for you. No matter if it's your first or your hundredth time in Bali, staying in one of our villas will help you see the island in a whole new light - we promise you won’t look back! Seminyak has become one of South-East Asia’s most fashionable destinations and, stepping into of one of its bustling streets, it is easy to see why; stylish cafes, world class restaurants, sophisticated bars and fantastic shopping outlets (from Chanel to cheap souvenirs) line the footpaths. Seminyak caters to all types of traveller, with a massive assortment of things to do including day spas, beachfront bars and family-friendly activities. 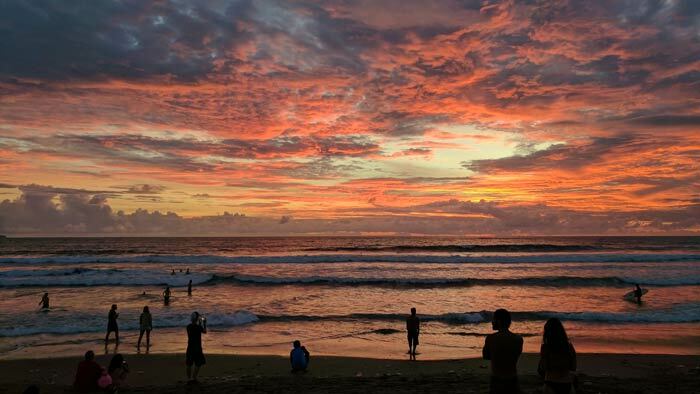 The Seminyak shore is famous for its beach clubs and seafront venues and it has become a popular gathering place for watching Bali’s famous sunsets. For those seeking events later into the evening, Seminyak provides a plethora of options, the bars, clubs and many of the restaurants stay open late into the night. When you desire, you can retreat your villa, which offers both privacy and relaxation within its walls, making you feel as though you’re miles away from the crowds. Canggu is one of Bali's newest up and coming areas. Not yet quite as 'happening' as nearby neighbour, Seminyak (only a twenty minute drive away), Canggu has retained its relaxed beach vibe and is a great place to come for exceptional surf breaks, boutique cafes and volcanic black sand beaches. The 'health and wellness' concept is alive and well in Canggu as is demonstrated by the large number of yoga and pilates studios, healthy cafes, gyms and even CrossFit studios that can be found there! Nestled amongst lush green paddy fields, Canggu is the ideal spot if you’re looking to be close to fantastic dining and entertainment, but also yearn for a quieter atmosphere and slower pace of life. Choose one of our Canggu villas, with a panoramic view of beautiful beaches or paddy fields and you’ll be sure to fall in love with this hip little town. Ubud, known as the cultural heart of Bali, exudes spirituality and tranquillity. It is the destination of choice for families and travellers looking for yoga, cooking classes, meditation and wellness retreats. Much of the action lies in the town centre where a myriad of shops, restaurants and cafes line the streets. Alternatively, head out to the famous Monkey Forest and make some very cheeky friends. Activities popular among Ubud holidaymakers include yoga classes, spa treatments, waterfall visits, nature walks, exploring fascinating cultural sites or relaxing at a cafe. If you fancy a break from all the ‘peace and love’, the town is perfectly located for some of Bali’s more action packed activities including white water rafting, elephant safaris and mountain climbing. All of our Ubud villas were built to facilitate rest and relaxation. Surrounded by emerald foliage, you’ll wake up to a peaceful silence and sweeping views of terraced rice fields each and every morning. Dotted along Bali’s southern peninsula (also known as the ‘Bukit’) you will find Uluwatu, Jimbaran and Nusa Dua. Each town offers different features: Jimbaran is popular for its white sands and seafood restaurants, Nusa Dua is home to pristine beaches and upmarket venues whilst Uluwatu is known for its dramatic sea-views and world class surf spots. As is to be expected with such differing destinations, the villa rentals we offer on the Bukit Peninsula come in all shapes and sizes, from large multi-bedroom properties in Nusa Dua and Jimbaran to majestic cliff top Uluwatu villas. No matter which option you choose, you can expect impeccable service, modern amenities and the ultimate privacy. 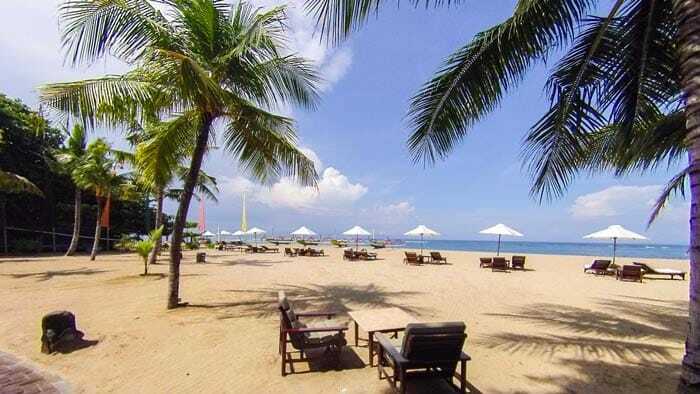 Sanur, set along the south-eastern coast of Bali, radiates a mellow, easy-going vibe. It’s glorious white sand beach and laidback atmosphere make it the perfect location for those who want to avoid the crowds and chaos of some of the more popular coastal towns, whilst still being able to make the most of all that southern Bali has to offer. This is not just a sleepy fishing village though, and there is plenty of entertainment on offer including local restaurants, a relaxed nightlife scene and some of the best surf breaks in Bali. If you want to get a little more 'off the beaten track' then as Sanur is the perfect base as it is a departure point for boats offering day trips to Bali's neighbouring islands Nusa Lembongan and the Gilis. 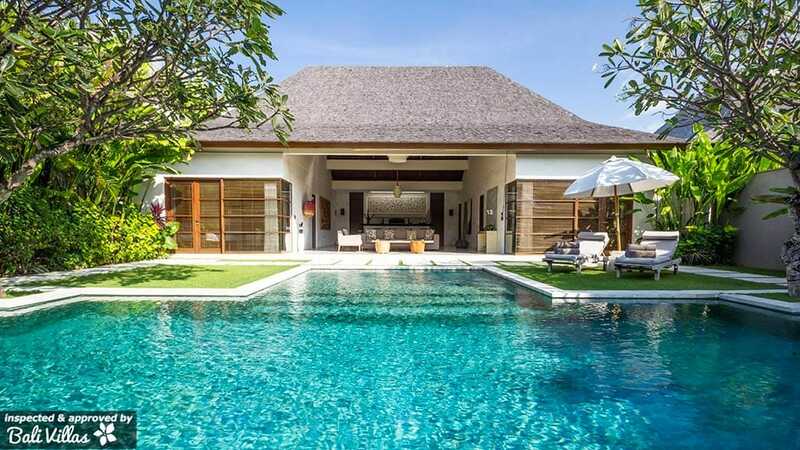 There are plenty of great holiday rentals to be found in and around Sanur - from luxurious estates big enough to comfortably accommodate the whole family to cosy villas perfect for couples and small travelling parties. 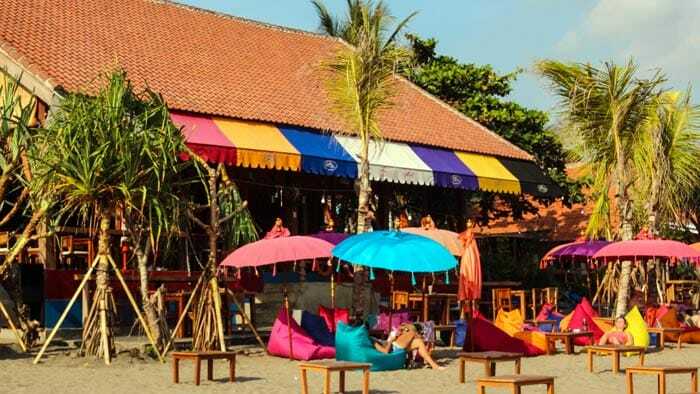 Kuta beach is famous worldwide as one of the best surf beaches and the town’s reputation as a 24 hour party zone is not far behind. 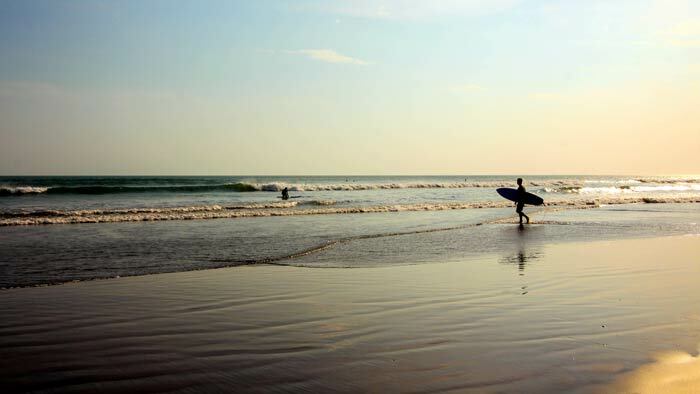 However, there is more to Kuta than meets the eye. The beach is lined with surf schools and trendy beach clubs whilst gigantic shopping complexes and luxury spas are dotted all around the town, offering entertainment and relaxation for the whole family. 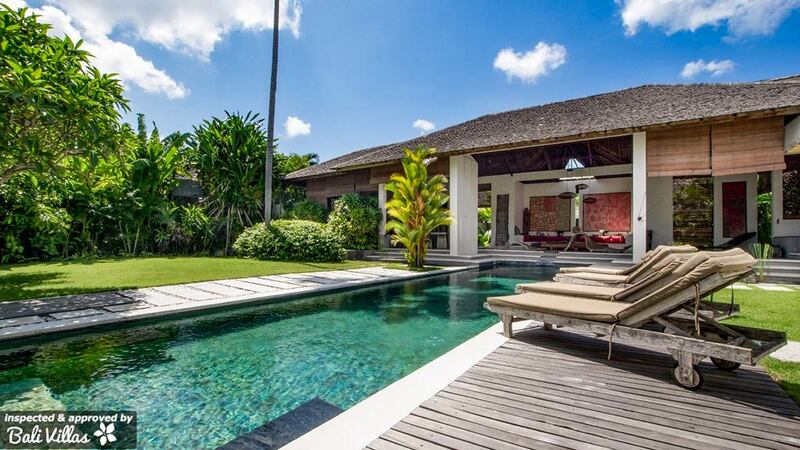 Our Kuta villas provide the perfect break from all the excitement, offering a peaceful enclave of privacy and relaxation that will leave you feeling a million miles from the busy streets that are just a stone's throw away. Kuta is not for the faint of heart, but, if you are looking to catch some waves, make the most of Bali’s nightlife and unwind with a luxurious massage then there is nowhere better to be. Legian, located a skip and a jump away from Kuta, exudes an altogether different vibe - it’s noticeably quieter, and a little more family-friendly. Boutiques, restaurants and lifestyle venues are peppered around the heart of the town. Villas in both Kuta and Legian enjoy prime locations and are within walking distance to beach and shopping hotspots. Over 10 years experience serving an Australian clientele, has left us confident enough to say that we know exactly what it is you’re looking for in terms of location, style and pricing. We understand that there are some things that should be consistent across all villas including daily housekeeping, a private pool, a villa manager, free WiFi and the option to have breakfast included. Here at Bali Villas we pride ourselves on providing and maintaining excellent levels of quality control for every villa we offer. Each of our properties is regularly inspected and photographed, our records are always kept up to date and we ensure that our clients are given detailed information about villas including realistic photographs, layouts, inclusions and location. Each of our family friendly villas has been handpicked by our ‘family expert’ – someone, with children, who knows what’s needed in a family villa. After a short consultation, we are confident that we will be able to find you the perfect location, and property, based on your family size, children’s ages, needs and desires. All payments made through the Bali Villas website are through a trusted, secure payment method. We offer secure online credit card payments and a Westpac bank account for all money transactions. The Bali Villas team is made up of experienced travel consultants all of whom have a thorough knowledge of all aspects of Bali. We pride ourselves on our professionalism and on offering a prompt, reliable service. The Bali Villas Seminyak office, is open 7 days a week and our staff will be happy to assist you with any enquiries you may have. Still not convinced? You don’t have to take our word for it, just a have look at our testimonials page and check out what some of our previous clients have to say. As you will see, the general consensus is that once you book through Bali Villa's, you won’t look back! Our office is open 7 days a week from 7am - 7pm AEDT (8am – 8pm AEST). Email us on [email protected] Call our Australian Toll Free number on 1800 431 343. Or send us a message below!